On a trek through China, video blogger Dan Wolfe met up with a friendly hamburger salesman working the crowds along the pier in the village of Huangpu. 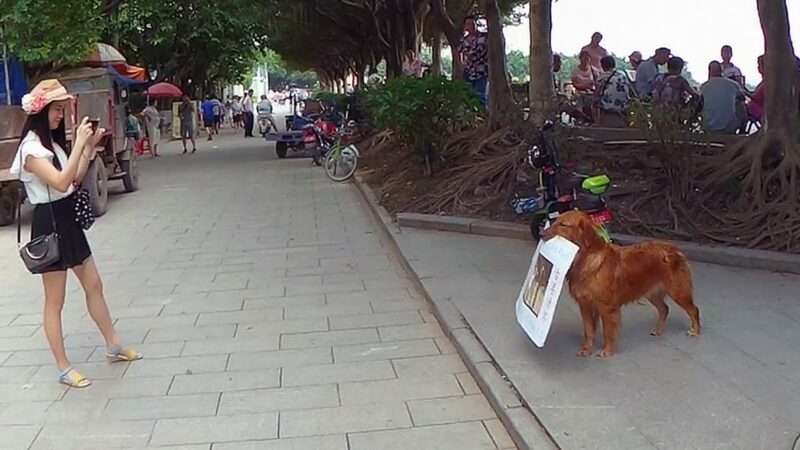 This clever golden retriever is trained to walk along the pier and to point the sign at anyone looking at him or taking a picture. Clever! If ever a dog breed was destined to succeed in business without really trying, it’s the golden retriever. Famous for their fearless, friendly demeanor, goldens are happy to be the center of attention.